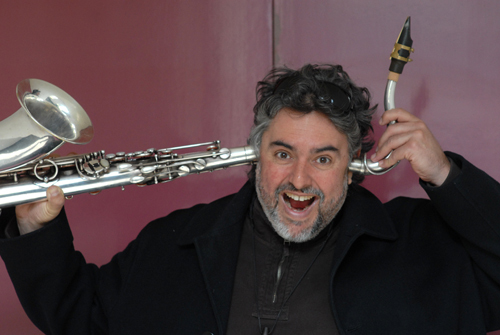 Master Saxophonist Tony Malaby returns to the Underground this weekend in two formulations. On Friday, February 12th and Saturday, February 13th at 9:00pm, he appears with the Malaby Cello Quartet, with Daniel Levin on cello, Eivind Opsvik on elecric bass and Ches Smith, drums. On Friday and Saturday at 10:30pm, he appears as the Tony Malaby Quartet + Ben Gerstein. Gerstein joins on the trombone, plus Dan Peck on tuba; Ches Smith on drums, and, of course, Malaby himself on saxophone. Two nights, four shows, one extraordinary musician and some of his favorite fellow improvisers. Advance reservations are recommended. You are currently browsing entries tagged with tony malaby at Cornelia Street Café.